I have actually knit a little sleeveless top using this stitch. The stitch itself is very rich. I think that it suggests a deep ornate fabric such as Damask or flocked velvet, perhaps something Victorian when feathers and plumage were used extensively in fashion. Here is the stitch from the Barbara Walker site. And here are my photo takes on the stitch. 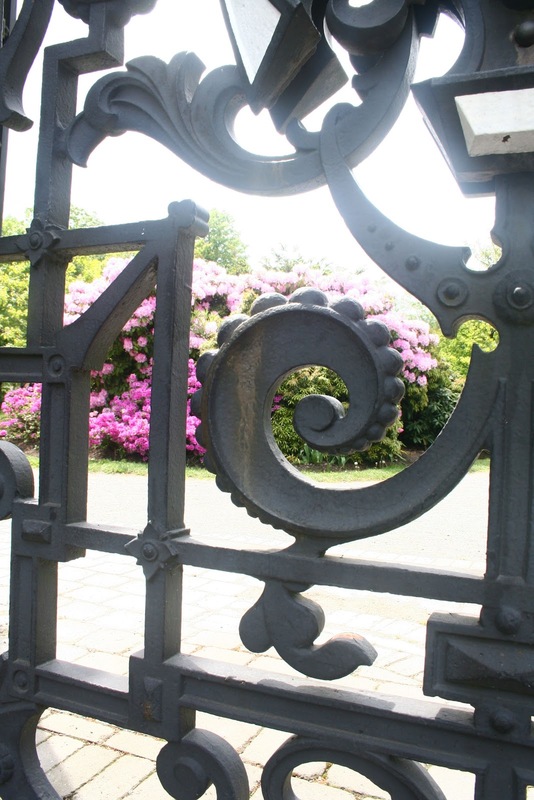 The first is a rhododendron from The Public Gardens in Halifax, one of the few remaining Victorian Gardens in Canada. This is the same bush taken through a section of the gates into the garden. I think that both the gate and the rhododendron are intricate as is the stitch. 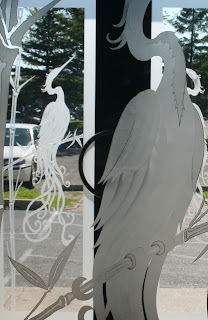 Here is another entranceway with plumage. Its from a restaurant in Fredericton. Unfortunately the parking lot in the back ground reminds us that we are "here" in this time zone and not "there" in Victorian England. This is one of the reasons I love gardens and lace. They are both escapes. 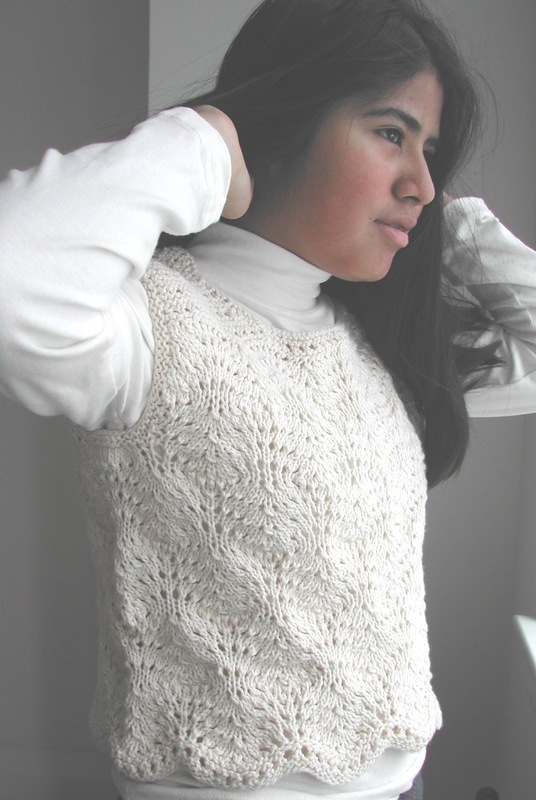 And here is the little sleeveless shell photographed about 10 years ago when my daughter was 10. 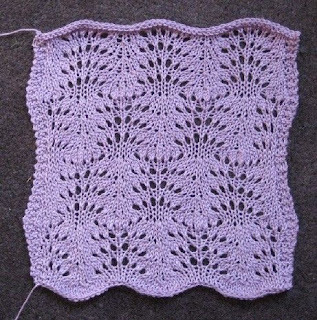 Time flies - capture it in lace.